Training has been going well this year for the most part and I enjoy training even more than racing. However it’s always good to measure up some performances to see how things are going. Unfortunately I’ve not been feeling great pretty much the whole of March, something has been bothering me and it’s affected both training and racing. 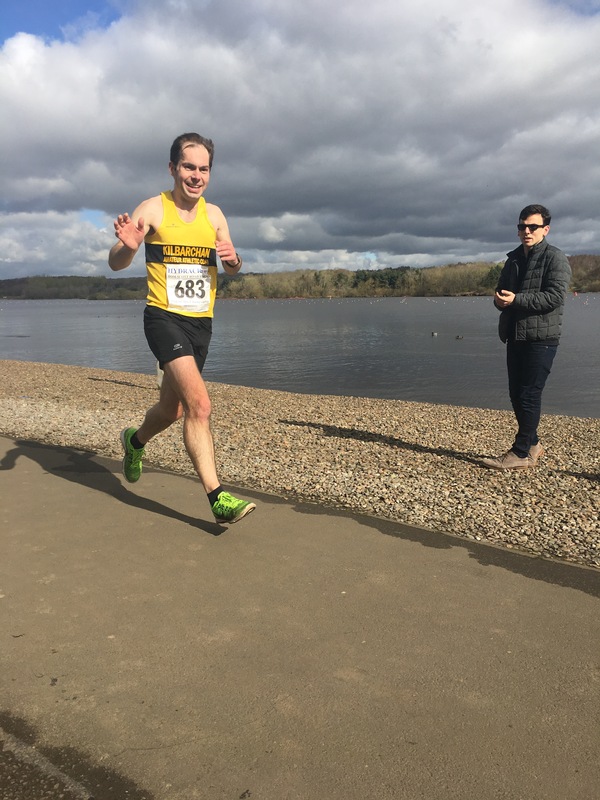 Alloa Half Marathon was another tough day at the office an early season target to get close to sub 90 and I limped over the line in 93 mins battered by the wind for 5 miles on route. 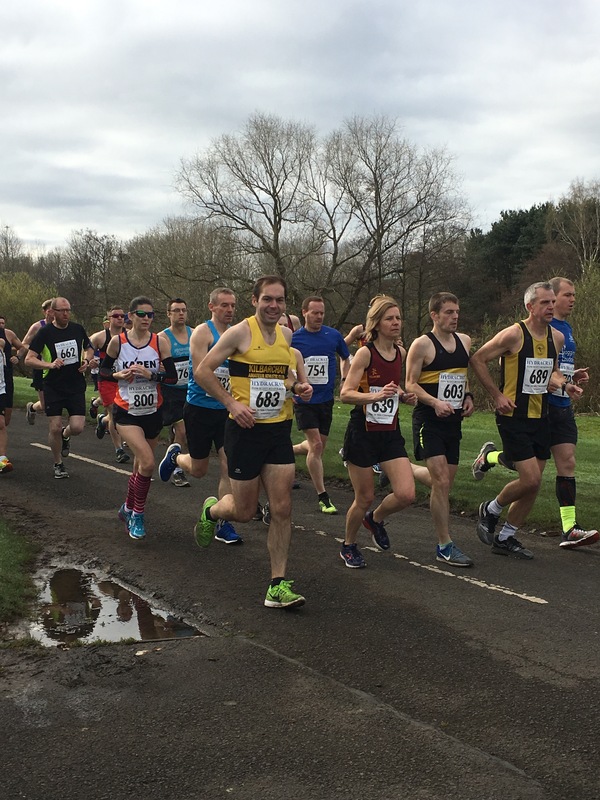 This led into Tom Scott 10 mile race yesterday, another one I was targeting a decent PB, only ran this race one before in 2013 when I ran 1:11 and change so knew barring disaster it was most certainly on. Post Alloa a cold appeared, I was happy with this as I felt it had been lingering in the background for weeks and needed to get out my system. Trained as normal Mon-Thurs and then took an unusual 2 rest days in a row on Friday and Saturday to refresh. I hummed and hawed right up until Sunday morning on whether to race or not, Kirsty encouraged me to have a go and we all bundled into the car for a trip to the park. Race registration was straight forward and I was good to go, some fun strides passing Isla quickly as she laughed and giggled which was nice. Decided to start nice and steady and see if I could maintain an even pace throughout. Knew there some bumps on the other side loch having ran the race once before but reckoned I could still hold onto something. The first three miles were quite straight forward, breathing had settled well and I was feeling pretty good. Splits of 6:39, 6:42 & 6:45 I was happy with, this is the flattest part of the course so knew I could put a little bit of breathing space in my plan for averaging 6:48 for the whole race. Out the park and onto the main road I was running alongside Pamela McCrossan of Clydesdale Harriers and a couple of others, we were overtaking and passing each other fairly regularly keeping the effort going. The 4th mile was mainly the longer climb up to M&D’s which came in at 6:53 but I followed this back up with a 6:39 on the other side of the hill for the 5th and we were back into the park. Through halfway in roughly 33:38. We then worked our way over the other side of the loch again but turned left before the climb onto the main road. The 6th and 7th were 6:50 and 6:55 so I was hanging onto pace and working hard, heart rate remaining consistent against the steady pace. The 8th mile had two nasty bits, not long climbs but those that knock the stuffing out of you and I lost a bit of momentum and needing the preceding downhills for a bit of recovery. The watch beeped a 7:15 and I told my head, no more splits over 7 mins and we’ll be on for a good time! We were then on the familiar parkun route and working our way back round the loch again, flat now all the way to the finish. The sun was coming out and heating up at this point but any breeze was coming from the side so not much of a bother. My head was slightly mucked up as my watch was beeping after the mile markers, I had it in my head that meant I was running slower than average pace showing on the watch, when off course it meant I was actually runner a bit quicker, didn’t realise this until the 8th marker. I think the wee twists and turns and trees on the other side of the loch mess with the GPS a bit. Into the final mile and Henry Merriweather and Bella road runner team mate Kevin Queenan appeared on my shoulder and moved ahead, I worked hard to stick with them but they were running strongly after bother covering 13 miles pre-race as a warmup!! The 9th was 7:00 dead, so can’t beat myself up too much and the final .93 miles on the watch came in at 6:23 which worked out at 6:52 pace so I wasn’t slowing. Across the line in a new PB of 1:08:01 narrowly missing out on a 1:08 pre-race target but definitely a much more pleasing performance and a bit of a boost. Even got a wave and daddy shout from Isla just before the finish, but she also thinks most runners are her daddy as well because they run. Overall I’m glad I toed the line for this and got a time that I was happy with. We runners can nit-pick a lot and be overly critical of performances. Considering the build-up and previous races this was a good day, a good result and something to build on! Buggy blowups, are we done with buggy running?